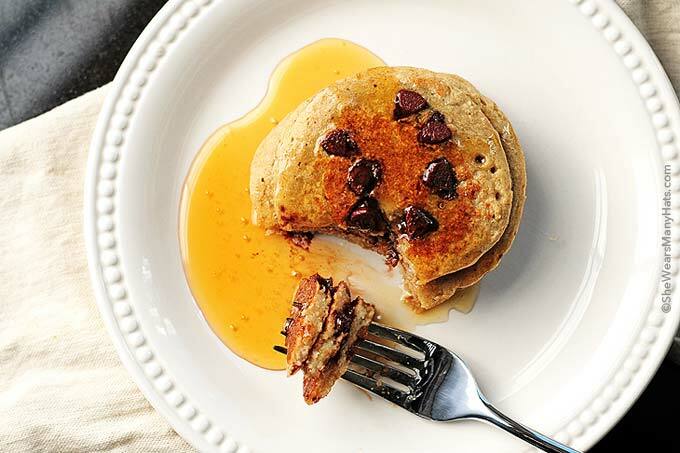 These Oatmeal Chocolate Chip Banana Pancakes are a tasty gluten-free option. Recently I made a batch of these Oatmeal Chocolate Chip Banana Pancakes discovered over at Tasty Kitchen. 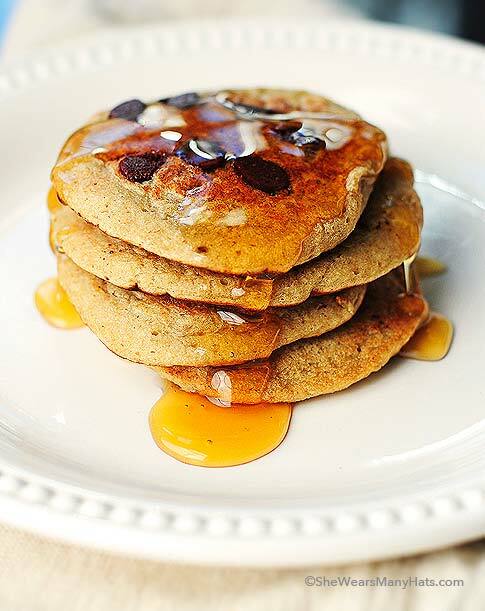 They’re a gluten-free* and vegan pancake option made without any flour, using an easy oatmeal base instead. What a great way to add oats to your diet — especially for the kids! You’ll find the full photo tutorial over at Tasty Kitchen. It shows how easy it is to whip up a batch using a blender. Super simple, y’all. *Please note, while these pancakes can be prepared gluten-free, the oatmeal that I used (shown in the photo tutorial) is NOT gluten-free, so be sure to use gluten-free oats if preparing for a someone on a gluten-free diet. « Previous PostA few of my current favorite beauty products. Looks amazing! I know my husband would love these! Yum. My family would love this for BF one morning. Sons leave for college in 2 days … boo hoo. Yum, so many great flavors going on here! Can’t wait to make these with my son – he will love them!! What a healthy way to start the day! I love banana pancakes just like the Jack Johnson song! These look so fluffy and flavorful! 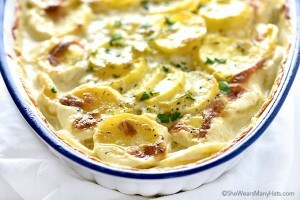 I love the oatmeal addition and will be making these for Sunday brunch! What a tasty way to start your day! Love these flavors! Mmm what a tasty breakfast! Love breakfasts and starting the day off like this! Deliciousness! Yes! 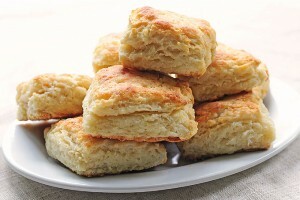 These look great and would be a great breakfast treat for my hubby! Off to Tasty Kitchen to get the recipe… I love anything that I can make in a blender! So pretty! Thank you for this recipe! I made these a week ago and scarfed them down! They were delicious and I didn’t feel bad eating them!! I made these and I couldn’t get them to cook in the middle. They started to burn. Should I add less milk or let the mix sit longer?